Do you have old metal objects lying around your house or commercial property? Looking to get rid of these objects? If so, you might want to consider recycling them. By recycling your metal objects instead of trashing them, you will not only help the environment, but you can make some extra money as well. Interested in earning extra money? Looking for more information on metal recycling in Chicago? The following is some information you need to know. If you have metal objects in your possession, it is likely that they can be recycled. Some of the most commonly recycled types of metals include aluminum, copper, brass, and steel. You might also be surprised to hear that your electronics can be recycled. TVs, DVD players, smartphones, and a variety of other electronics possess metal components that can be taken out, melted down, and used for other purposes. There are tons of benefits associated with the recycling of metals. Metal recycling not only helps the environment, but the economy and the workforce as well. The fact of the matter is that using recycled metals instead of fresh metals drastically reduces the carbon footprint produced during the manufacture of goods. This has a direct positive effect on the environment. It substantially reduces environmental pollution caused by manufacturing. Metal recycling also ensures that metal ore remain plentiful. The more unmined metal ore that is available, the lower the prices of metal goods will be. It should also be noted that the economic impact of the recycling industry in the United States is staggering. The United States workforce has benefited from millions and millions of jobs thanks to the recycling industry. By recycling your metals, you can help keep this vital portion of our national workforce afloat. How Do You Go About Recycling Metal in Chicago? Generally, you can recycle your metal in one of two ways. You can either utilize a municipal pickup program, or you can work with a metal recycling company. Municipal pickup programs are instituted by cities and towns as a way to get their citizens in the habit of recycling. Generally, municipalities will issue recycling receptacles to their residences, then collect and dispose of the materials in the proper channels each week. The problem with municipal pickup programs is that they’re usually very limited as to what type of objects they’ll accept. In most cases, only small objects are acceptable. You won’t be able to get rid of old fence posts through a municipal pickup program, for example. If you have a great deal of scrap metal on your hands, it would be wise to work directly with a metal recycling company in Chicago. These are companies which will buy scrap metal, and then melt that metal down so that it can be reused for new purposes. Metal recycling companies can recycle the vast majority of metal objects. Whether you have metal fencing, old car components, worn down electronics, or otherwise, a metal recycling company will work with you to get it recycled. Do you have any old metal items lying around your residential or commercial property? Ready to give metal recycling a go? 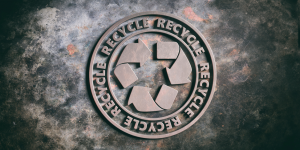 Looking for a metal recycling company in Chicago? Central Metal Recycling is the company to call. Regardless of whether you have iron, brass, steel, aluminum, copper, or e-scrap, we will buy it from you and recycle it. Contact us now to begin the process!